On May 4th I uncovered an old unused in-ground oil tank in our backyard. Although we are not selling our house, we felt that removing the tank was the right thing to do. When the tank was removed we discovered contaminated soil. The Saanich Fire Department, who regulates the removal of tanks under the B.C. Fire Code, was contacted and we were subsequently issued with a Correction Notice for soil remediation. This began 5 weeks of high stress and anxiety for my wife and me. Fortunately we had Kelsey from Pacific Group Developments as our contractor/Project Manager. Although Kelsey was not the first contractor that I spoke with, we had the good fortune to seek a second quote for the remediation work and found Kelsey (Pacific Group Developments). Kelsey sat down with us, explained the process and what was needed to have a successful outcome. From the outset he was confident in his assessment of the work that needed to be done and with his ability to carry out the work and to achieve a successful outcome. I cannot say enough about how, throughout the project, Kelsey was able to reduce our stress levels by calmly and clearly explaining to us what was needed, what he would be doing and what we needed to do. Throughout the project, Kelsey would " check in on us" to make sure we were comfortable with what was being done and to reassure us that everything was proceeding according to plan. There were numerous occasions when my stress level was very high and Kelsey would call or I would call him. I would ask my questions or express my concerns about what was happening or what needed to be done. Without exception he was able to address any concerns. He showed a tremendous amount of empathy towards our situation. His approach gave us peace of mind and on more than one occasion allowed me to get a good night sleep. As I have said, this project was incredibly stressful for us. As a homeowner I cannot think of a more stressful situation. Soil remediation is a highly regulated process. This is not something one can do on their own - plus it can be very expensive depending on many factors, the main one being the extent of the contamination. On June 12 I presented the remediation report to the Saanich Fire Department. On Jun 13 the Correction Notice from the Fire Department was removed. The file on this project is successfully closed. 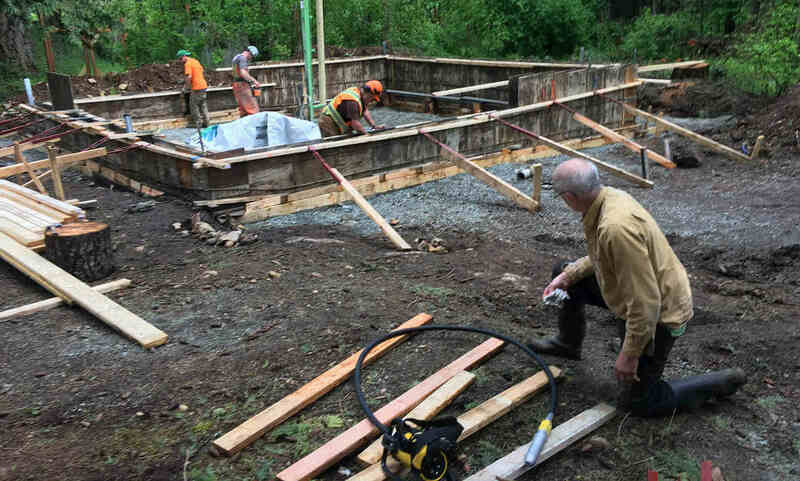 Although they do much more than this type of work, if you need someone for in-ground tank removal and soil remediation, I highly recommend that you contact Kelsey and the team at Pacific Group Developments.